Our new look magazine is out now, featuring phase one of our redesign. Pick up a copy, turn the pages and be surprised – we're overhauling a lot. Our first major feature is a ten-page plunge in to the Morichales of Venezuela with intrepid fish explored Ivan Mikolji. This issue sees the start our new regular 'debate page'. This month, editor Nathan Hill and staff writer Steve Baker discuss the ins and outs of Parrot cichlids. Is there a place for hybrids in modern fishkeeping? Steve Baker talks us through the wonderful Whiptails of South America, including how to set up for, keep and identify some of the species you're more likely to find on sale. New contributor Mark Beeston gives us reasons to embrace Anthias – possibly the best marine shoaling fish you can buy, as long as you can get over the feeding difficulties. Neale Monks takes a look at the transparent side of things, investigating the worlds' see-through fish species. Gabor Horvath compares 38 different pond pumps in our in-depth review. 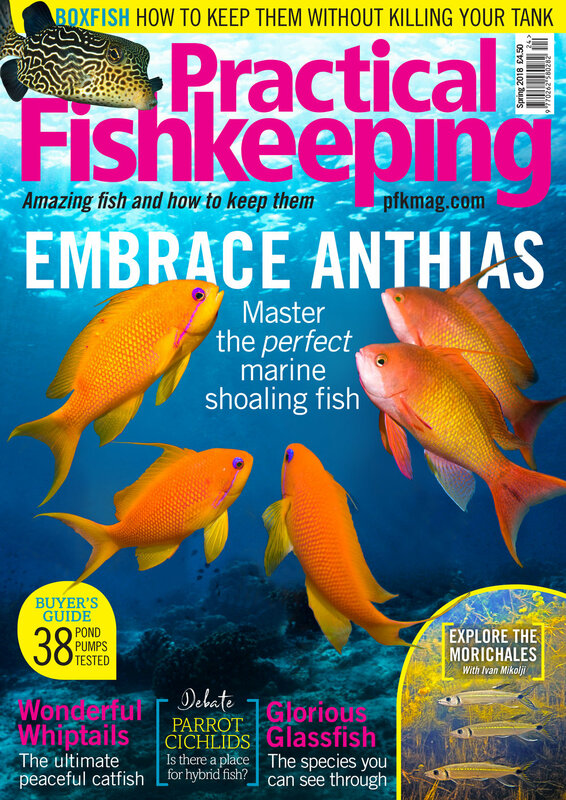 There's also a river tank, Tropheus duboisi, surface dwelling fish, marine Boxfish, shops visited, gear reviewed, and all your fishkeeping questions answered by our carefully vetted PFK panel of experts.